Savvy Spending: PayPal members: possible $15 off $15 purchase at 1800-Flowers! FREE Valentine's Popcorn! PayPal members: possible $15 off $15 purchase at 1800-Flowers! 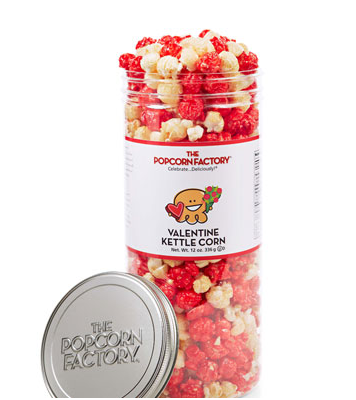 FREE Valentine's Popcorn! PayPal members- check your account as you may have an offer for $15 off your purchase of $15 or more at 1-800-Flowers, valid through 3/31/17! Just log in and look under "shop" to see if you have this offer. You may also find an offer in your Inbox with the subject “$15 off $15 at 1-800-Flowers” from paypal@mail.paypal.com. I received this email this morning! I ordered the Valentine Kettle Corn for $15 and got free shipping with ShopRunner, so completely FREE after the PayPal offer! I received an email confirmation immediately, stating that the offer covered my entire purchase!